What the U.S. can learn from Germany about remembering a dark period of history. 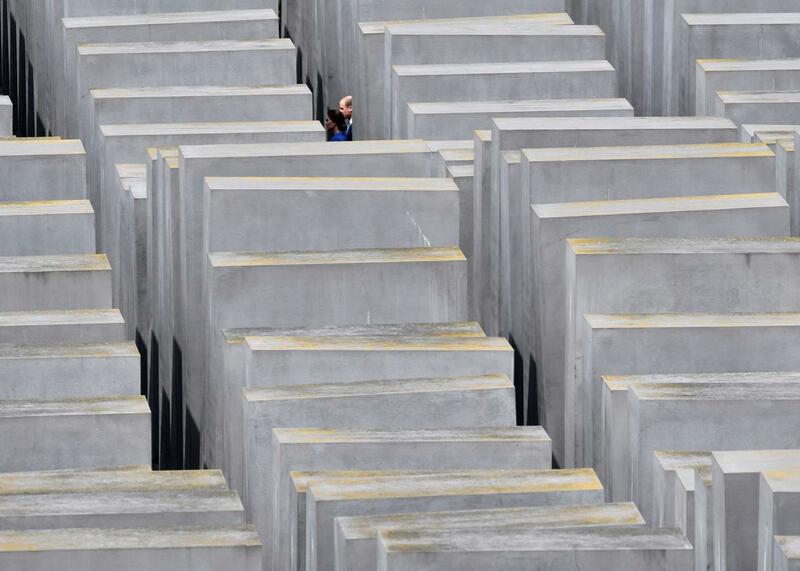 The Holocaust Memorial in Berlin on July 19. President Donald Trump tweeted on Thursday that he’s “sad to see the history and culture of our great country being ripped apart with the removal of our beautiful statues and monuments”—thus furnishing further proof that he knows nothing about history or culture or beauty, much less the reason why monuments are built in the first place. As many have pointed out, the statues of Confederate officers that scar the cities of the South (and too many spots in the North as well) were erected not in the immediate wake of the Civil War but rather decades later, during the revival of the Ku Klux Klan, as a show of force—from the rulers to the ruled—that the old guard, though defeated in battle, was still in charge. Trump and all those who find his appeals to historical preservation persuasive should go to Berlin, a city of vast and multiple horrors throughout its history, yet also a city that is facing those horrors head-on, unflinchingly. The city memorializes not its discarded leaders but rather their victims. And instead of mounting old warlords on pedestals (there is nothing “beautiful” about a man on horseback, whether Confederate, Nazi, or Communist), the city displays the full record of their crimes against humanity. Take, for instance, the brass-plated stones hammered outside of houses and apartment buildings throughout the city, but especially in the old Jewish quarter. They’re called stolpersteine, or “stumbling stones,” because, while walking through a neighborhood, you literally stumble upon them. 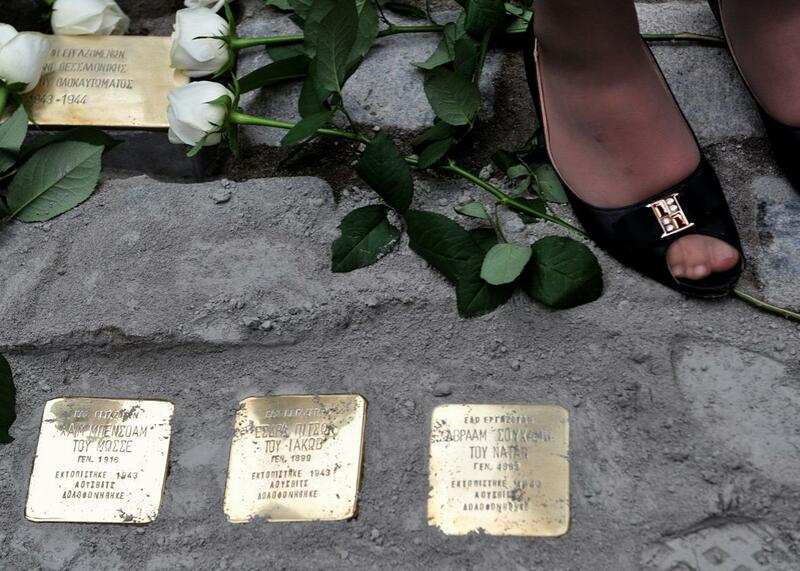 You notice their shine amid the street’s old cobblestones, so you crouch for a closer look, and you see, engraved on the brass plate, a person’s name, then his or her date of deportation, the concentration camp where he or she was taken (several of these stones, a whole family’s worth, lie in front of some houses), and the date when he or she died. You look around—these neighborhoods haven’t changed much, physically, in the past several decades—and envision what once happened on this spot: Right here is where the truck pulled up, the storm troopers got out and barged into this house and dragged these individuals to their deaths, their names now hallowed into stone where they once lived and should have kept living. The project to lay these stones began in the early 1990s by a German artist named Gunter Demnig (not a Jew), at first to controversy, but gradually to acceptance and even civic pride. (Workers are employed to go around and polish the brass plates, so they remain legible.) In the quarter-century since the project’s inception, more than 20,000 of these stones have been laid in Berlin—and several thousand more in other German towns, as well as some in the Netherlands, the Czech Republic, Italy, and elsewhere. They are far more honorable, hush-worthy, and, yes, beautiful than any bombastic statue of Robert E. Lee or Stonewall Jackson. Or take the Topography of Terror, a museum—built on the site of the Gestapo and SS headquarters—that fully documents the rise, reign, and fall of the Nazi regime. The Nazis were excellent at keeping records (some of these records served as sources for the researchers in the stoplersteine project), and thousands of records are laid out here—official memos, photographs, newspapers, film reels, and more—to sear into the world’s memory that these things really happened. A short walk away is one of the last surviving stretches of the Berlin Wall, a monument to the stark cruelty of what was once the Communist bloc but also to its desperation (East German leaders erected the wall in 1961 to keep their people from escaping to the West) and to its fragility (the wall collapsed, along with the regime it protected, a mere 28 years later). Except for these fragments, the wall has no legacy; many of the once-barren areas where it once encircled the western part of the city are now gleaming with modern towers, shops, and art centers. The preserved stretch of wall near the old Gestapo headquarters is the sort of monument to history that Berlin cultivates and that Trump doesn’t remotely comprehend. There is a viewing stand that overlooks the structure, and standing there, you realize that the wall was more than merely a wall. It was two sets of walls, each nearly 12 feet high, surrounded by a ditch to keep bulldozers at bay and separated by a 20-foot “no man’s land”—littered with barbed wire, illuminated by spotlights from a watchtower (there were once 302 of these towers), where guards could, and often did, shoot to kill anyone who managed to climb the first wall before he reached the second. This is a true monument of the regime and the era that Berlin authorities have deemed worth memorializing—not to romanticize the past but to present its dimensions starkly, as something to gasp at in horror and to avoid repeating. This monument is not beautiful, nor should it be. One thing that American slaveholders had in common with Nazi and East German bureaucrats was that they too were excellent keepers of records. As I walked along these Berlin memorials on a trip to that city this past spring, I wondered whether we would still be experiencing the violent revivals of our own horrendous legacy—the legacy of racism and slavery—if our more enlightened civic leaders had crafted memorials similar to those that brighten and darken the landscape of Berlin.